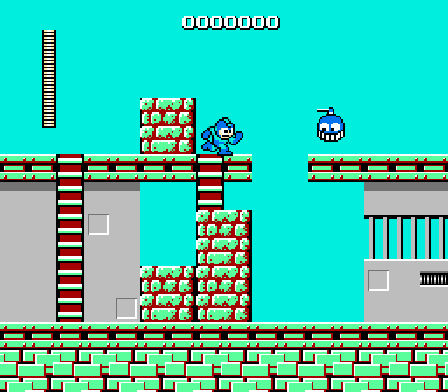 As an action platformer that came out in 1987, it’s not really expected of Mega Man to have much of a story. And it doesn’t. You press Start and you’re on the stage selection screen – the story basically consists of clearing the respective stages and defeating all the robot masters on that screen, and then the ultimate evil in Mega Man’s world that has unleashed those robot masters upon it. You’re the good guy (robot), they’re the bad guys, you need to defeat them. The only cutscene you’ll witness is the ending one. Before that, one stage follows another, until you clear all of them. Mega Man fights for everlasting peace! 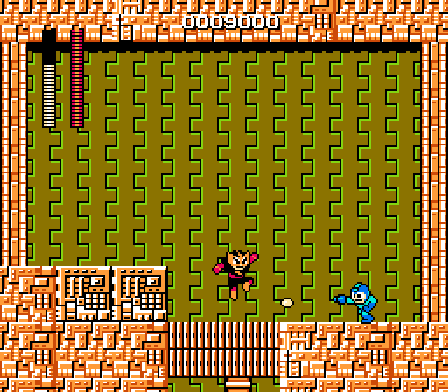 The Mega Man gameplay is simple and quite straightforward, even if the sometimes impossible difficulty of the game can be a frustrating experience. 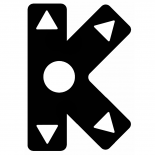 It’s a typical platformer. You can move forward and back on the screen, you can jump, and you can shoot. You can choose to play each of the 6 stages at the start screen, there is no predefined order (although, as you’ll find out, there are advantages to choosing to play through certain stages before others). You can also revisit stages you’ve already played. The stages are separated into sections, and there are usually a couple of checkpoints in each (not particularly designated – you just start from there if you die). It must be noted that, if you revisit a portion of the screen, the enemies that appeared there the previous time respawn. In the beginning, the only weapon you’ve got is Mega Man’s trusty Mega Buster. You’ve also got a health bar, which decreases when you get hit or when you touch an enemy (some enemies do more damage than others). Falling into a bottomless pit is, of course, an instant loss of a life – and you’ll often have enemies trying to rush into you or hit you with a bullet while you’re over a pit, causing you to fall into it miserably. Sometimes, the stage continues upwards or downwards, and falling will thus just take you to the next segment instead of killing you. Needless to say, revisiting such a segment also has the enemies reappear, so sometimes a mistimed jump or taking a hit can cause you to fall back a few screens. Better than instant death, I suppose. Sometimes, not much better. Making it through a stage and defeating its boss is a double gain, as, once you do so, you earn that boss’ weapon, and it’s yours to use until the end of the game. 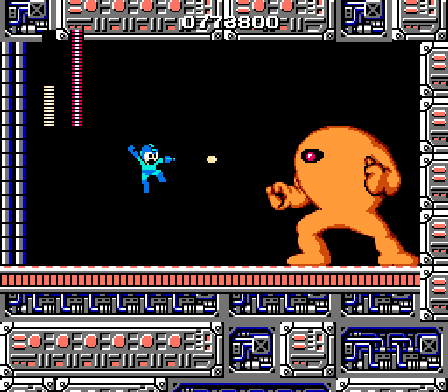 Unlike the Mega Buster, however, the robot masters’ weapons have limited use, determined by a bar which decreases each time you use the respective weapon. It’s important to save them for where they are really needed – which is mostly the battles with the other robot masters. Each robot master has a key weakness, so, if you use the weapon he’s weak against, you can deplete his health bar in 3-4 hits, which is quite delightful, considering defeating them in the “normal” way can take quite some time in comparison. 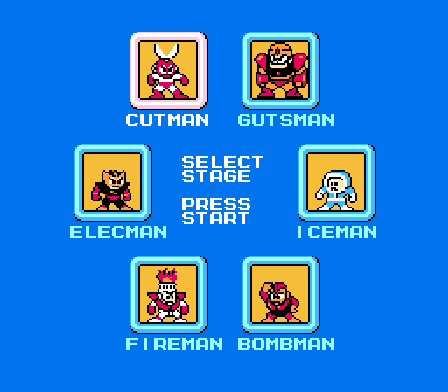 And some of those weaknesses are easy to guess, considering the names of all the robot masters are right there on the stage selection screen – this way, you can choose a good order to fight them in, so that you are equipped with the right weapon when you face the robot master who’s weak against it. Switching weapons is done by pressing Start and then selecting the one you want to use. Once you defeat all 6 of them, it’s time for the final stage, or rather, series of stages. Each of them ends with a cool boss, the first one, the Yellow Devil, being notoriously difficult. It’s one of the hardest bosses I’ve ever fought in a game, beating it without abusing save states or the pause glitch requires an amazing level of skill and/or perseverance. There IS a certain movement pattern you can use to reduce the amount of hits you get, but there are just too many attacks whose direction you must practically learn in order to succeed. The very last boss battle seemed much easier in comparison. The aforementioned pause glitch allows you to have a single hit of yours damage the enemy multiple times, as long as you time your pausing correctly. I didn’t use it myself, as I thought abusing save states would be enough to beat the game. For its time, Mega Man is certainly a pretty game. 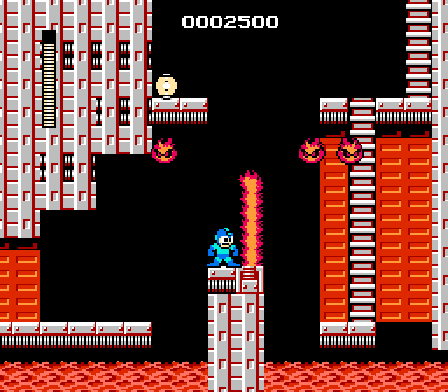 The sprites are cool and interesting, and level design is quite varied, each stage having its own specifics – lava in Fire Man’s stage, circuits and electricity in Elec Man’s, etc. Even generic enemy designs can be quite memorable – like the floating fire enemies in Fire Man’s stage. Mega Man himself changes colour as you select a new weapon to use – certainly a neat touch, both visually and for aiding the player. 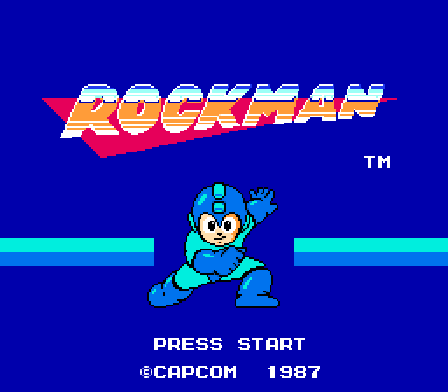 The title screen in the Japanese version, with Rockman/Mega Man’s pose, is a classic that will forever be the first thing I associate with the words “Mega Man”. It’s a shame the non-Japanese versions only have dull letters on it. The ending sequence is also quite pretty, if nothing too different from other NES game cutscenes. Mega Man is a series known for its soundtracks, and the very first game is certainly the one starting the trend. Of course, the tunes are short and then they repeat, but that’s how it was in the 8-bit era. Many of the stages have really catchy songs, and the boss fights do, as well! Manami Matsunae has done a pretty good job with Mega Man, and it’s a bit of a mystery why she wasn’t invited to work on the series again until Mega Man 10 (where the soundtrack was a collaborative effort, anyway). Then again, every next game usually had new composers. 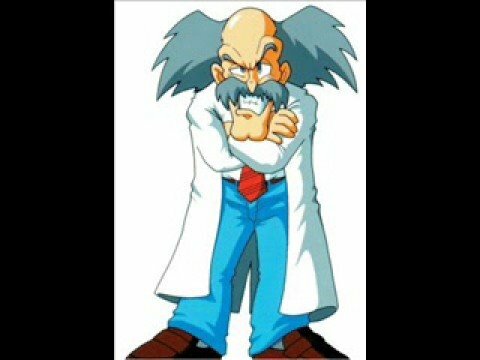 Anyway, it’s pretty hard to choose just one song to represent the soundtrack, but I’ve picked Dr. Wily Stage 1. The original Mega Man is a very difficult, but fine game, despite being in the shadow of its two successors. It’s fun platforming, and the fact that you can gain and use the robot masters’ weapons adds some depth and strategy which were not common for a platformer of those days. For its time, it’s certainly a great concept, and the subsequent success of the franchise proves it. It’s not very long, but the difficulty will add quite a few hours if you want to beat it fairly. Certainly worth a playthrough for people looking for a classic 8-bit experience, but I’d recommend it even to those simply looking for a platformer. It’s a piece of gaming history, and not a dull one like some other classics. And if you’re a fan of some of the later games, you MUST see where and how it all began.